After several long days of negotiations and discussion, the House and Senate finally worked out their differences and gave final approval to the Fiscal Year 2016 state operating budget. The bills now move to the governor’s desk a full two weeks ahead of the constitutionally mandated budget deadline. During the budget process, the Senate made significant changes to the House version of the state spending plan, including a lump-sum budgeting approach that included 4 to 6 percent cuts to health, mental health and social services programs. These changes drew the scrutiny of some on the House side and even lost the backing of leadership in the Senate as negotiations progressed. The final version of the budget approved by both chambers moves much closer to the original House spending plan, but does take some fiscally responsible steps to rein in the growth of the state’s social welfare programs. The final version of the budget does include the Senate’s plan to move Missouri’s Medicaid population to a system of managed care, but the transition will occur slowly and only after the plan has been reviewed. The members of the Missouri House also took action this week to protect Missourians from some municipalities that have exhibited what House Speaker Diehl called “predatory practices” to raise revenue through excessive traffic tickets. The bill approved by the House is designed to shut down “speed traps” by limiting the amount of revenue municipalities can generate from traffic violations. You may read more about what is happening at your Capitol below. • Additional funding for MoHealthnet adult dental benefits. The members of the Missouri House also took action this week to protect Missourians from some municipalities that have exhibited what House Speaker Diehl called “predatory practices” to raise revenue through excessive traffic tickets. The bill approved by the House is designed to shut down “speed traps” by limiting the amount of revenue municipalities can generate from traffic violations. The plan that now has to move back to the Senate for another round of approval would limit the amount of revenue municipalities can generate from traffic tickets to 20 percent, which is down from the current limit of 30 percent. The bill further limits municipalities in St. Louis County, which has been plagued by excessive traffic violations, so that only 15 percent of their total revenue can be derived from traffic tickets. 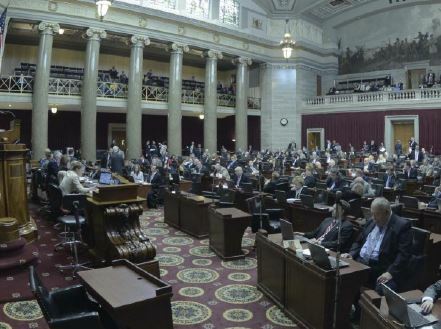 The House version of the bill inserts additional protections for Missourians by ending the process of courts issuing failure to appear charges against defendants for missing court dates on minor traffic violations. The bill also would prevent courts from ordering jail time for individuals who fail to pay traffic fines. In addition, the bill now includes provisions to ensure accountability from municipalities in St. Louis County by requiring they meet minimum standards — police services, balanced budget, insurance, etc. — or face dissolution. The bill drew strong bipartisan support as members from both parties said it will ensure municipalities act in the best interests of their citizens rather than treat them as sources of revenue. 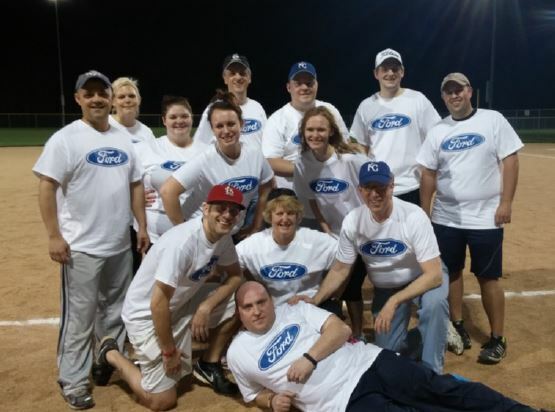 Last week I participated in the Annual Legislative Softball Tournament. Each year the State Legislature hosts a soft ball tournament to raise funds for a local charity. This year all the funds raised went to the Samaritan Center. The Samaritan Center is a social service agency organized to meet emergency or crisis needs of the people in the Mid-Missouri area which are not already being met through state or federal programs or non-profit programs. This year we were able to raise $3,749 to give to the Samaritan Center. The Oversight Division is in charge of conducting performance evaluations and program reviews of state agencies or programs during the interim as assigned by the Committee on Legislative Research. As your State Representative, I have some input on what the Oversight Division investigates this year; therefore, I would like your input! Please email my Legislator Assistant, Dylan Bryant, at dylan.bryant@house.mo.gov with suggestions of programs or agencies that you would like reviewed by the Oversight Division. The most popular choice will be what I recommend to the Joint Committee on Legislative Research and the Oversight Division. Each week you can find an interesting fact or figure here on how Missouri measures up to other states and the U.S. government: State and Local Corporate Income Tax Collections Per Capita range from $0.00 in NV, TX, WA, & WY to $912 in AK. MO with $63 is very close to being the lowest in the country. This entry was posted in Government and tagged capitol, chipman, jason, report on April 24, 2015 by Representative Jason Chipman.